sell purses | Sophisticated Diva ~ A.K.A. Along came Polly! How to become a Miche representative~~How much money can you really make? I’m asked this question often from those approaching me about becoming a Miche representative–the bottom line, the question they all ask, is “what do you make”? It’s a question that I can’t answer-as no one representative earns the same. A Miche representative earns commissions based on her (or his) performance and sales, and if they choose-they may build a team as well, and earn from the productivity of the team members they sponsor. A representative can earn more than the individual that sponsored them. This is a business in which we reap what we sow-there is no paycheck weekly simply for showing up and clocking in. I work daily on presenting my product to new customers, training the representatives that I sponsor, and presenting the opportunity to those interested. There is no “get rich quick” or “get rich fast”. To earn money as a direct seller, it takes hard work and persistence, you do actually have to “work” for the compensation. The reality of the answer is-I can’t tell you “how much” you’ll make. The answer lies with you–the compensation plan Miche has in place is very generous, but it all comes down to what “you” do with it. 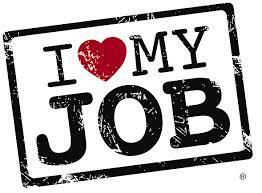 I’m very happy about my compensation and look forward to a future with Miche! If you’ve considered becoming a Miche representative-I’m always looking for more team members, throughout the US. Your business kit comes with materials needed to get you started, order forms, catalogs, handbags and shells, and more!! The product value alone is worth much more than the price of your starter kit! There is NO INVENTORY requirement with Miche!! If you’d like to know what comes in the Miche representative starter kit, or how much it cost to become a Miche rep–click HERE now! Join my team today–become a Miche Bag representative! Opportunity is knocking—become a Miche Bag representative today! I’m building my team, and can use passionate partners that recognize the value and appeal of Miche Bags—this is only the beginning! I have 3o+ years of sales and marketing experience, including advertising-and have been with Miche nearly 2 years. Silver level representative 2010…come join my team and realize success can be “in the bag”! Email me today at sdhmhandbags@aol.com or call Polly at 815-721-5549 for more information on how to enjoy the thrill of becoming a Miche Bag representative! Want to learn more about becoming a representative? Visit my WEBSITE for all the answers!